We’ve added new Great Lakes Surface Temperature Maps into all State Apps with 1 or more great lakes! These maps are updated by the Sea Grant Coastwatch website & we’ve tied them nicely into the Essentials Area of your iFish App. Apps with this addition include: iFish Michigan, iFish Minnesota, iFish Wisconsin, iFish Pennsylvania, iFish Ohio, iFish New York, iFish Illinois & iFish Indiana. 3 Apps in the Top 10 Today! iFish & iHunt are taking over the App Store this morning! 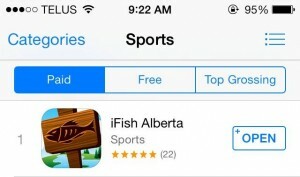 Currently we have 3 Apps in the Top 10 Paid Sports Apps for Canada, including iFish Alberta as the #1 Top Paid Sports Apps! 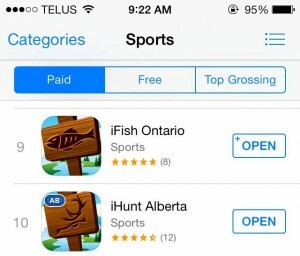 iFish Ontario continues to climb and is sitting at #9, while iHunt Alberta is right behind as #10! 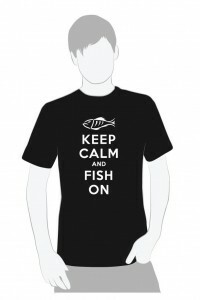 Keep Calm & Fish On! 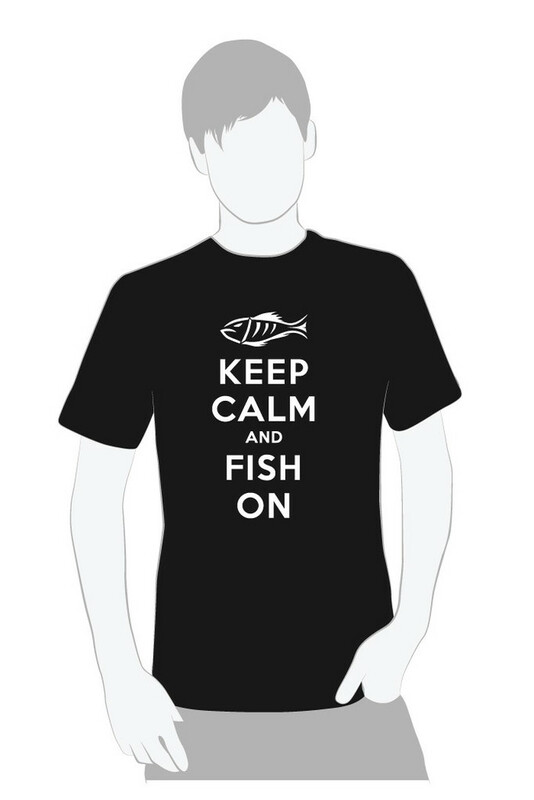 Grab one of these beauty shirts from our Online iFish Store! Click to order now. iFish Minnesota now has over 2,600 lake depth maps connected into the app! Find & download these maps while viewing a lake where data is available. All additions such as downloadable lake maps will also be reflected in the iFish USA App. Our iFish & iHunt Team had a blast at the Edmonton Boat & Sportsmen’s Show this past weekend! Special thanks to Bob from AHEIA & Laurie from CDBN Sports Shows for all your help & a great, memorable 4 days. Along with meeting a lot of fantastic people, we captured some great video footage and interviews with several business’ and lodges! Watch for the up-coming Gear, Trips & Tips Videos in your iFish App! 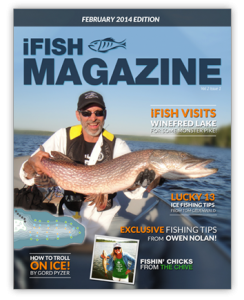 The Latest iFish Magazine – February 2014 Edition is now on the digital shelf and ready for you to read! 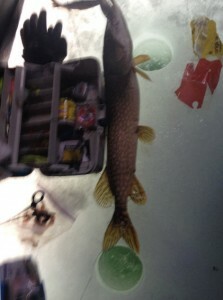 Check out this Pike caught through the ice on March 12 by Scott at Wabamun Lake, AB! Scott used the iFish Alberta CatchLog to brag this catch to us, send us your fish pictures for us to share too! 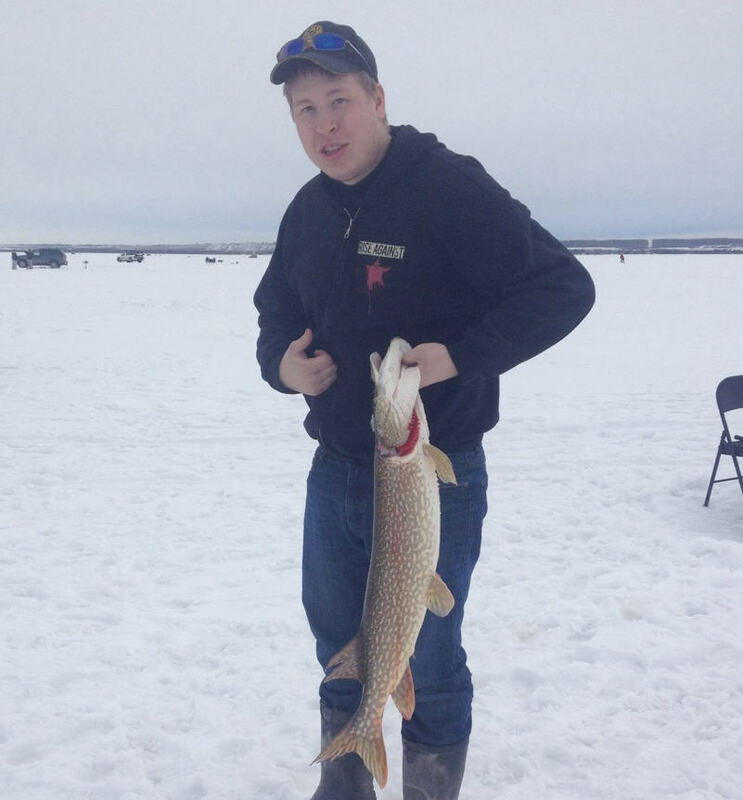 Check out this 11 lb Pike caught by iFish Alberta User Berkley at Wabamun Lake this weekend! Don’t forget to brag your catches to us using the CatchLog for us to share! We’ve added more lake contour maps to the iFish Wisconsin & iFish USA Apps! There’s now over 2,200 lake depth maps in Wisconsin alone! Several other states also received new maps and info over the past week. We are always finding & adding new data into our apps to keep content fresh, keep checking back for additions! Any additions to a state app such as lake maps will also be reflected in the iFish USA App.